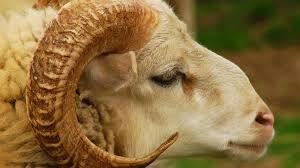 Brief history of prophet Ibrahim pertaining to eid'l kabir. According to Islamic tradition, the valley of Mecca (in present-day Saudi Arabia) was a dry, rocky and uninhabited place. Allah instructed prophet ibrahim to bring Hagar (Hājar), his Arabian (Adnan) wife, and Ishmael to theArabia from the land of Canaan. As ibrahim was preparing for his return journey back to Canaan, Hagar asked him, "Did God order you to leave us here? Or are you leaving us here to die." Ibrahim didn't even look back. He just nodded, afraid that he would be too sad and that he would disobey God. Hagar said, "Then Allah will not waste us; you can go". Though Ibrahim had left a large quantity of food and water with Hagar and Ishmael, the supplies quickly ran out, and within a few days the two began to feel the pangs of hunger and dehydration. Hagar ran up and down between two hills called Al-Safa and Al-Marwah seven times, in her desperate quest for water. Exhausted, she finally collapsed beside her baby Ishmael and prayed to Allah for deliverance. Miraculously, a spring of water gushed forth from the earth at the feet of baby Ishmael. Other accounts have the angel Gabriel (Jibrail) striking the earth and causing the spring to flow in abundance. With this secure water supply, known as the Zamzam Well, they were not only able to provide for their own needs, but were also able to trade water with passing nomads for food and supplies. Years later, prophet Ibrahim (Abraham) was instructed by Allah to return from Canaan to build a place of worship adjacent to Hagar's well (the Zamzam Well). Abraham and Ishmael constructed a stone and mortar structure – known as the Kaaba – which was to be the gathering place for all who wished to strengthen their faith in God. As the years passed, Ishmael was blessed with prophethood (Nubuwwah) and gave the nomads of the desert his message of submission to Allah. After many centuries, Mecca became a thriving desert city and a major center for trade, thanks to its reliable water source, the well of Zamzam. One of the main trials of prophet Ibrahim's (Abraham's) life was to face the command of Allah to sacrifice his dearest possession, his son. The son is not named in the Quran, but most modern Muslims believe it to be Ishmael. (The son's name, however, is named in the Torah as "Isaac," which is the name "Yitzhak" in Hebrew. Isaac was the son of Sara, Abraham's first, and only, wife. Hagar was his handmaiden and Ishmael, know in Hebrew and the Torah as "Ishmael," was the son of his relationship with Hagar.) Upon hearing this command, Abraham prepared to submit to Allah's will. During this preparation, Satan(Shaitan) tempted Abraham and his family by trying to dissuade them from carrying out Allah's commandment, and Abraham drove Satan away by throwing pebbles at him. In commemoration of their rejection of Satan, stones are thrown at symbolic pillars signifying Satan during the Hajj rites. When Abraham was 99, Allah decided to test his faith in public. Abraham had a recurring dream, in which Allah commanded him to offer up for sacrifice – his son, whom Allah had granted him after many years of deep prayer. Abraham knew that the dreams of the prophets were divinely inspired, and one of the ways in which Allah communicated with his prophets. When the intent of the dreams became clear to him, Abraham decided to fulfill God's command and offer his son for sacrifice. Although Abraham was ready to sacrifice his dearest for Allah's sake, he could not just bring his son to the place of sacrifice without his consent. His son had to be consulted as to whether he was willing to give up his life in fulfillment of God's command. This consultation would be a major test of his son's maturity in faith; love and commitment for God; willingness to obey his father; and readiness to sacrifice his own life for the sake of God. Abraham presented the matter to his son and asked for his opinion about the dreams of slaughtering him. His child did not show any hesitation or reservation even for a moment. He said, "Father, do what you have been commanded. You will find me, Insha'Allah(God willing), to be very patient." His mature response, his deep insight into the nature of his father’s dreams, his commitment to God, and ultimately his willingness to sacrifice his own life for the sake of God were all unprecedented. — Quran, sura 37 (As-Saaffat), ayat 100–112 . Abraham had shown that his love for Allah superseded all others: that he would lay down his own life or the lives of those dearest to him in submission to Allah's command. 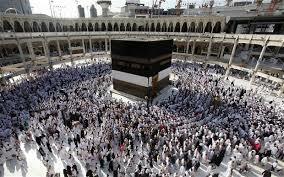 Muslims commemorate this ultimate act of sacrifice every year during Eid al-Adha. While Abraham was prepared to make an ultimate sacrifice, God ultimately prevents the sacrifice, additionally signifying that one should never sacrifice a human life, especially not in the name of ALLAH.